A simple and sober place for a comfortable stay. 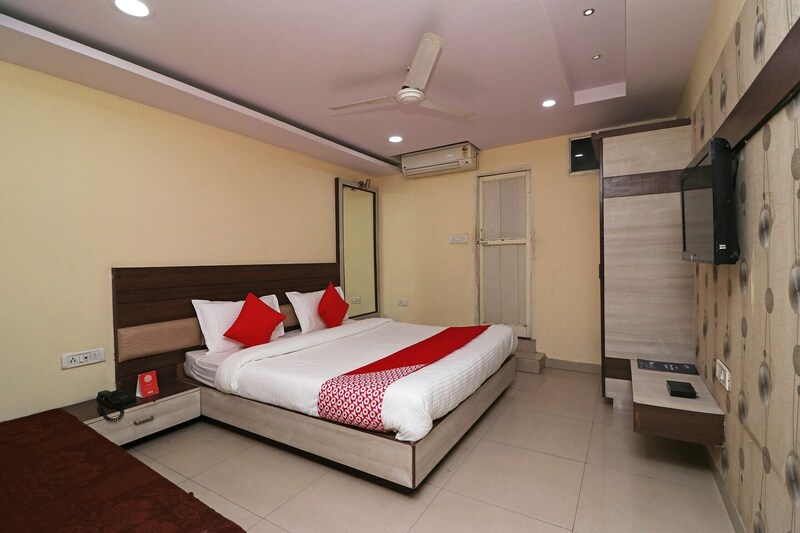 Hotel Palak is a hotel that attracts people with its simplicity and warm and inviting ambience. The bedrooms at the hotel have a classic theme of light colored walls and ceilings contrasted with dark and light wood furnishings to keep the ambience of the room vibrant and cozy. The bathrooms are tiled and feel neat and clean. A banquet hall are made available for the guests to make use of whenever they want. The hotel provides its guests with free Wi-Fi and power backup so that they can remain connected with the rest of the world. Other amenities offered by the hotel are laundry and parking facilities.